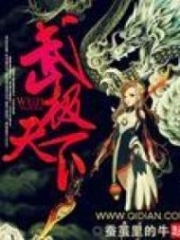 You’re reading novel The Demonic King Chases His Wife: The Rebellious Good-for-Nothing Miss Chapter 997 online at LightNovelFree.com. Please use the follow button to get notification about the latest chapter next time when you visit LightNovelFree.com. Use F11 button to read novel in full-screen(PC only). Drop by anytime you want to read free – fast – latest novel. It’s great if you could leave a comment, share your opinion about the new chapters, new novel with others on the internet. We’ll do our best to bring you the finest, latest novel everyday. Enjoy! The demonic path was brutal and reeked of blood, therefore, the world wouldn't stand for it. The demon lord from back then had tyrannical strength and almost swept away all the ten powerful families on this continent. Anybody that resisted was killed, if monks hindered, he would kill Buddha, within a long period of time, he fought all under the heavens and became a person without rival. Now, Yun Qi had inherited this old guy's legacy. Very quickly, a new demon lord would rise up again from this generation. Nangong Liuyun carried Su Luo and traveled throughout the night towards Cloud Mist Peak. Along the way, he split through the stars and scattered the moon in his haste to reach his destination. Within a day's effort, Nangong Liuyun had already arrived at Cloud Mist Peak with Su Luo. At this moment, Nangong Liuyun's complexion was slightly pale. With regards to that battle, he had also sustained heavy injuries. But he devoted all of his energy wholeheartedly on Su Luo, without the slightest concern for his own injuries. It was also fortunate that his body's foundation was good, so these days, it had gradually healed itself. Cloud Mist Peak, standing tall among the clouds. Nangong Liuyun carried Su Luo, taking off and landing, continuously climbing upwards. His body was very steady, the pair of hands holding Su Luo didn't shake a tiny bit. To reach the top of Cloud Mist Peak, before, Su Luo and Apothecary Leng had walked for almost an entire night. But now, Nangong Liuyun took less time than making a small cup of tea to reach the peak. Zi Ran heard the sounds of activity and quickly walked out. Zi Ran saw a very tall figure standing in front of him. Zi Ran's first impression was, this was an extremely strong and extremely cold man. His entire body gave off a chill like the king of the underworld, his gaze shot towards Zi Ran, with an ice-cold and indifferent tone, he said: "Where is Grandmaster Rong Yun?" Being hit by Nangong Liuyun's gaze, Zi Ran's body stiffened for a split second. This man was too terrifying. He was just about to speak when he saw the young lady in Nangong Liuyun's arms. "Little Junior Sister?" Zi Ran quickly walked up to Nangong Liuyun and anxiously reached out to catch Su Luo, "Many thanks to your distinguished self for delivering Little Junior Sister back to us!" However, a matter beyond Zi Ran's expectations was that this man, whose entire body gave off a terrifying aura, actually wouldn't hand over Little Junior Sister to him! Rather, he grandiosely carried Little Junior Sister and quickly walked towards the inner courtyard. How could he know which courtyard Little Junior Sister lived in? Although Little Junior Sister's courtyard indeed had a bit more flowers and plants, was a little more delicate, but how could he be as familiar with her courtyard as if it was his own? If he didn't recall incorrectly, wasn't this the first time this fiend-like male had came to Cloud Mist Peak? Zi Ran kept a stiff smile on his face and followed after Nangong Liuyun to go in and out of corridors. Zi Ran knew that this person's strength was extraordinarily powerful and was not someone he could contend against. Furthermore, he also didn't know where Zi Yu had gone off to, there wasn't even a tiny bit of news about him. Zi Ran saw this frightening man before him very carefully place Little Junior Sister on the bed. That action, was inconceivably gentle, as if she was a fragile porcelain doll in his arms. "In the end, what is the matter with Little Junior Sister?" Zi Ran wanted to move in closer. However, Nangong Liuyun waved his hand. Zi Ran, unable to suppress it, with 'thump, thump, thump', repeatedly fell back by seven steps. Finally, with a 'clang' sound, his head hit the door frame. Zi Ran held the back of his head, extremely dumbfounded. This here was Cloud Mist Peak, obviously he was the host ah, why did it seem as if he was now the intruder? Nangong Liuyun tenderly covered Su Luo with a quilt, after he used spirit power to examine her body, only then did he relaxed slightly. "Where is Grandmaster Rong Yun?" Nangong Liuyun held Su Luo's hand and gazed at her tenderly. But, the words he spoke were ice-cold and dripping with blood, penetrated with an aura of about to vent his anger that made people tremble with fear. He said these words to Zi Ran. You're reading novel The Demonic King Chases His Wife: The Rebellious Good-for-Nothing Miss Chapter 997 online at LightNovelFree.com. You can use the follow function to bookmark your favorite novel ( Only for registered users ). If you find any errors ( broken links, can't load photos, etc.. ), Please let us know so we can fix it as soon as possible. And when you start a conversation or debate about a certain topic with other people, please do not offend them just because you don't like their opinions. You're reading The Demonic King Chases His Wife: The Rebellious Good-for-Nothing Miss Chapter 997. This novel has been translated by Updating. Author: Su Xiao Nuan,苏小暖 already has 12438 views. Current Time is Apr-21-2019 02:30:46 AM.